Rescue Services | SAMARITAN INTERNATIONAL e.V. 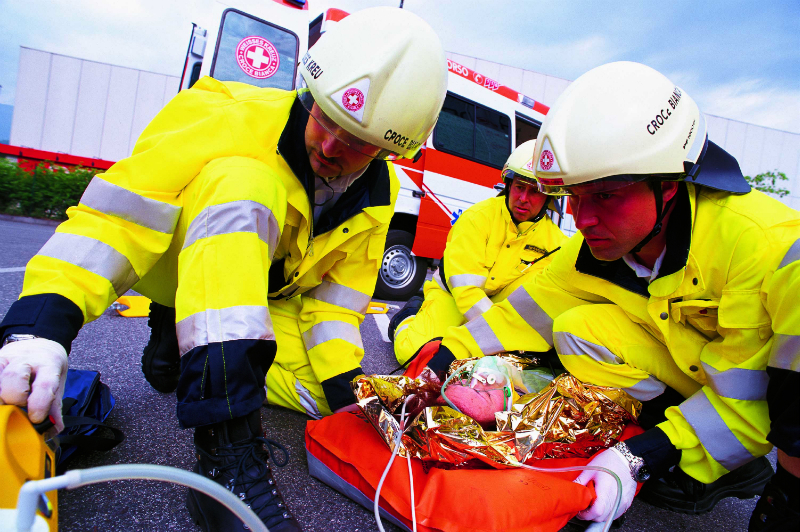 Everyone expects immediate medical care in the case of a life-threatening injury or illness. The European member states ensure in various forms of organisations and to various extents that emergency patients are given the necessary possible medical emergency care in their area of responsibility. But not even the Europe-wide emergency call 112 is applied all over the European countries to the disadvantage of many tourists. But the coordination of the various national rescue systems is not only obstructed by language barriers. Despite European standardization the equipment and operational tactics of the emergency vehicles are often quintessentially different. In general, the education and training conditions in the European countries differentiate to such a great extent that the employment of rescue service staff from neighbouring countries often fails. Therefore, SAMARITAN INTERNATIONAL is working on common European minimum standards and tries to throw light on this issue through the presentation of the national rescue service systems. Furthermore, SAMARITAN INTERNATIONAL aims to regard the emergency rescue service as an element being inextricably linked with civil protection and patient transport within an integrated European aid service system which requires the work of volunteers in every aspect.